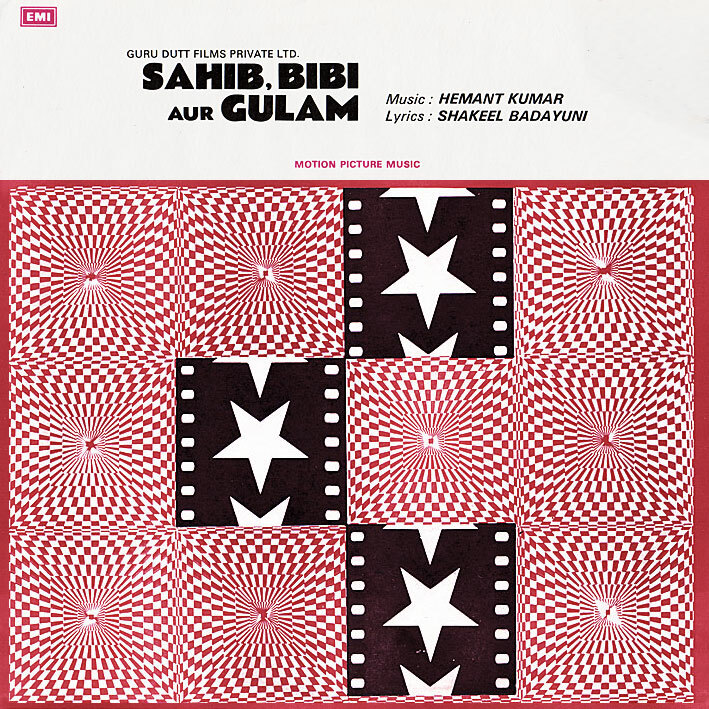 'Sahib, Bibi Aur Gulam' [review]: A nice one from Hemant Kumar; old school, charming, sweet. And I like Geeta Dutt. I don't have a lot featuring her, but what I do is generally lovely. 'Piya Aiso Jiya Men' (especially) and 'Na Jao Saiyan Chhod Ke Baiyan' are no exceptions. Guru Dutt classic. Thanks for this one. I'd consider "Sakhiya Aaj Mujhe Neend Nahi Aayegi" to be the hit from this, but that's partly because hearing it always brings to mind that fantastic mujra scene with Minoo Mumtaz. yay - been waiting for a new post! amazing cover art. Avocado Kid: It's a generic reissue cover (previously seen on Dharmatma and Sambandh) which I'm not very fond of to be honest. Parties, Sarees and Melodies posted the original. for a long time! if someone has it do ping me. Just when I think I've seen the grooviest album cover or typeface, another one comes along.